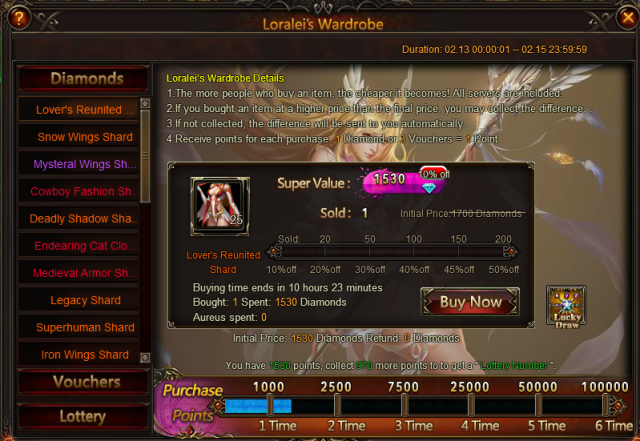 Loralei's Wardrobe will last for THREE DAYS only! Seize the chance to get your beloved clothing! 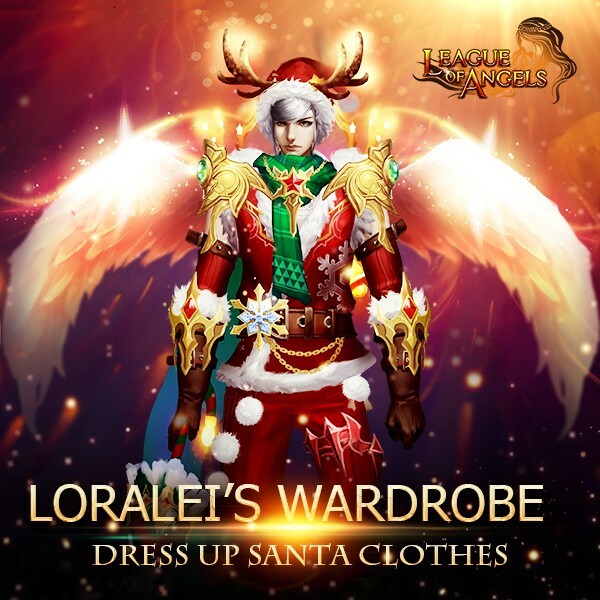 The costumes and wings in this event include Lover's Reunited, Superior Santa Clothes, Snow Wings, Mysteral Wings, Deadly Shadow, Saintly Angel Wings, Summer Gear, Endearing Cat, Medieval Armor, Wings of Vengeance, Legacy, Cowboy Fashion, Sterling Moonbeam, Wings of Rhythm, Phoenix Wings and so on. Besides, you can use voucher to get Leprechaun Suit, Santa Clothes, Blazing Wings and more! More exciting events are coming up through Feb 13 to Feb 15 (Server Time), check them out in the in-game Hot Events menu now! LoA_Valentine's Day: Surprises Are Coming! LoA_Navigation King: Sail Away for More Fun!